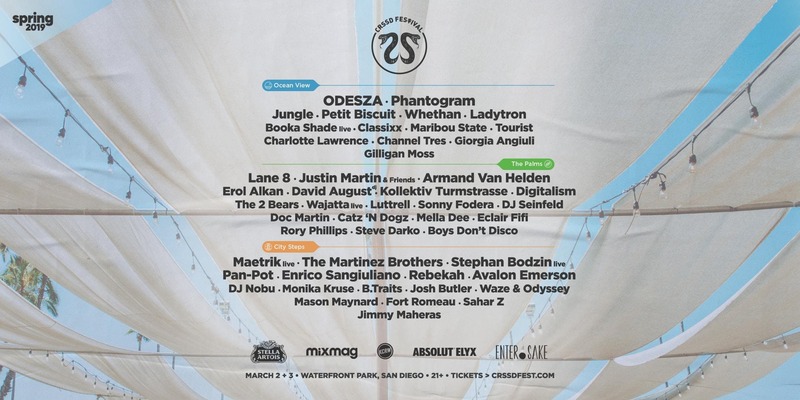 These tickets are for CRSSD FESTIVAL, not for a specific artist. Artist, venue, and schedule are subject to change without notice. Artist cancellation is not grounds for refund. This is a non-smoking event. Event takes place rain or shine. TICKET REMINDER: To ensure your satisfaction, FNGRS CRSSD cannot guarantee tickets purchased from un-authorized 3rd party resellers (individuals or brokers). We recommend that you purchase tickets directly through eventbrite.com or Verve Ambassador program.